Monrovia, Liberia - President George Manneh Weah on Wednesday, March 27, 2019 paid a consolation visit to the home of Montserrado County District #11 Representative Richard Koon who lost five family members in three days. Representative Koon’s family members that included his mother, two sisters, a junior brother and niece died reportedly from toxic generator smoke (carbon monoxide) between March 16 and 18. The Liberian leader used the visit to comfort Rep. Koon and relatives. He invoked God’s blessing upon the family and encouraged them to remain strong as they mourn their loved ones. President Weah also expressed condolences on behalf of his government for the tragic loss sustained. The Liberian leader was accompanied to the home of the lawmaker by some government officials including the Minister of Finance and Development Planning, Samuel Tweah, Jr.; Speaker of the House of Representatives, Bhofal Chambers, among others. 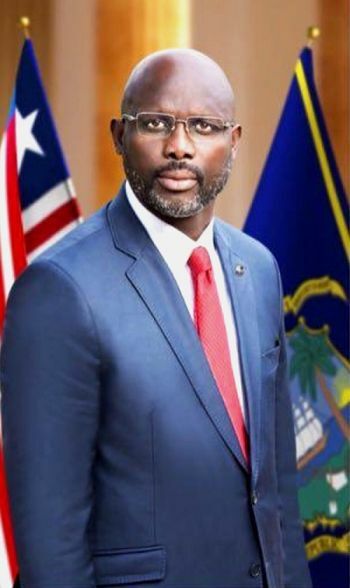 On Monday, March 25, 2019, President Weah paid similar visit to the home of the late Representative Adolph A. Lawrence and consoled his wife, Senator Nyonblee-Karnga Lawrence and the family.